UPDATE 2014-03-28: Newer versions of org have the org-html-checkbox-type variable, which you can set to unicode. Use M-x customize-variable org-html-checkbox-type to see if you have it. This snippet turns - [X] into ☑ and - [ ] into ☐. To find this code, I searched ox-html.el for [. Eventually I found org-html-checkbox, which is directly called by org-html-format-list-item instead of being a function variable that you can change. So that meant I needed to override the behaviour of org-html-checkbox through defadvice. You can see above how I wrap advice around org-html-checkbox and replace the return value with my own function. For more about advice, read the Emacs Lisp Intro manual. To find the hex codes for the UTF-8 characters, I searched Google for UTF-8 checkbox and found BALLOT BOX WITH CHECK. I used the hex code so that I didn’t have to worry about encoding issues. I tested it by updating one of my weekly reviews. Tada! Inspired by Grant from Wisdom and Wonder. One of the things that Ramon Williamson shared in our podcast on Helpers Help Out Episode 8: The Art of Copywriting for Google Helpouts is picking the one thing you’re going to be known for and focusing on it. It makes sense that he emphasizes it so much, since another thing he likes saying is that your mess is your message, and focus is one of the things he’s been working on. It reminds me of the saying about the fox and the hedgehog: The fox knows many things, but the hedgehog knows one big thing (Archilocus). It turns out that Isaiah Berlin wrote an essay called The Hedgehog and the Fox about how Tolstoy was more of a fox but really, really thought that he should be a hedgehog, and how messed up that was. I’m basing this on Wikipedia’s summary–it’s on the Internet, so it must be true–since I’m still waiting for the library copy to arrive. It sounds fascinating. Anyway. We are mostly told that we should be hedgehogs. Focus. Pick a niche. That’s the only way you’re going to be great. Of course, I can totally hand-wave and say that Improvement is the key organizing principle unifying all the things I’m interested in. 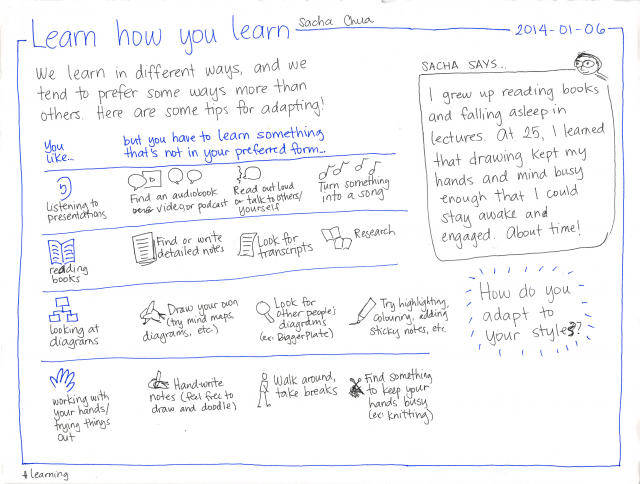 Learning is improving the way you improve. Coding is simply an idea frozen in a form the computer can understand. Delegation is about improving processes. 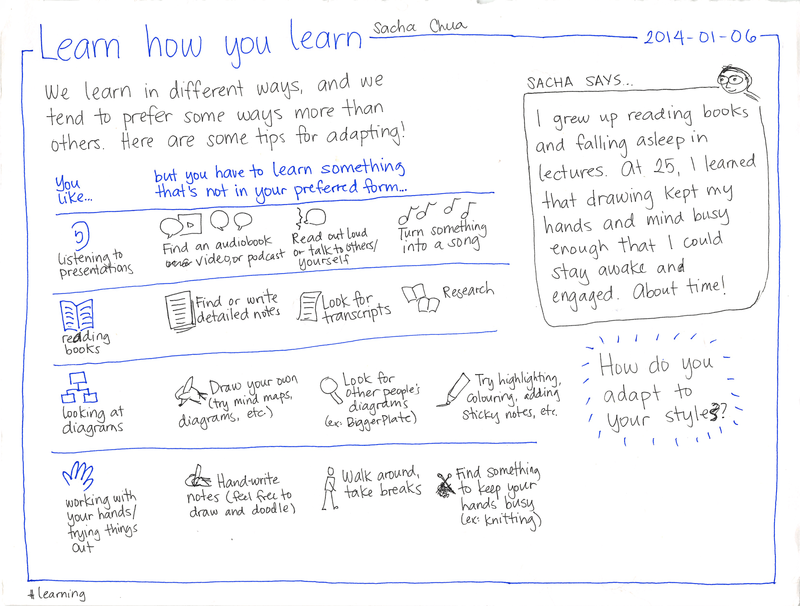 Writing and drawing is about helping others improve. Rationality is about improving decision-making. 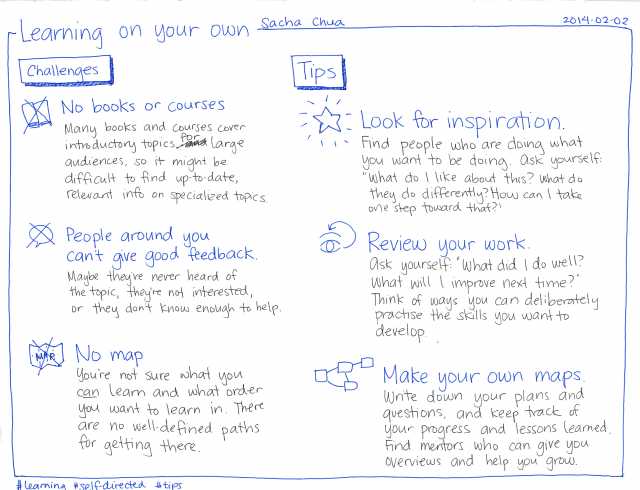 But being interested in improvement is like saying you’re creative or motivated–so generic that it doesn’t say anything. I might as well ‘fess up to the fact that sometimes I’m curious just because I am. 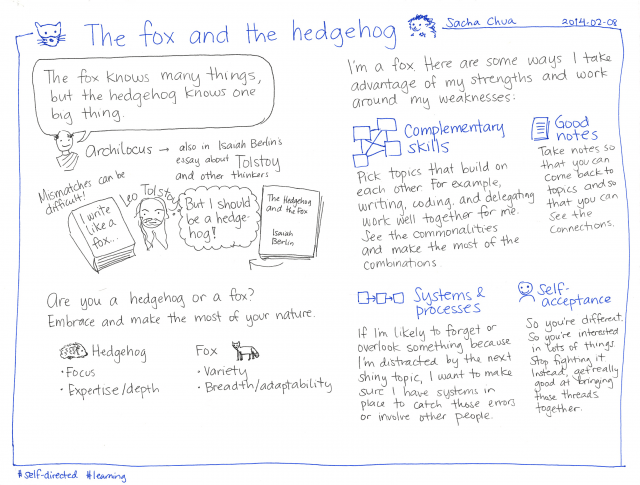 If you are also a fox, a wide-ranging learner, maybe we can swap strategies and tips. For example, it helps that my interests tend to build on each other. (I’d use the word “synergistically”, but that’s so 1980s.) 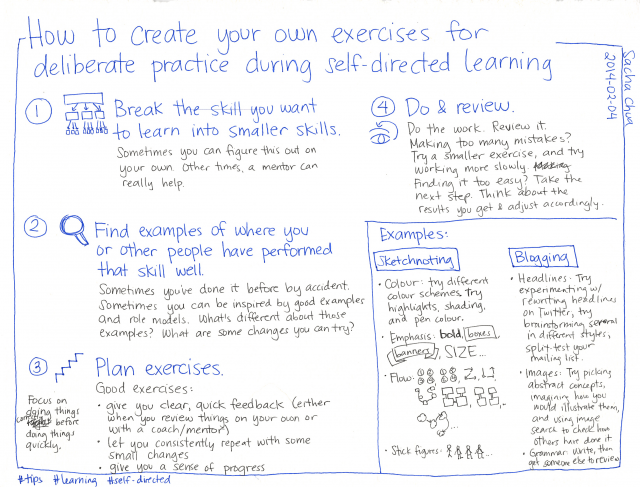 Taking notes helps me pick things up again, and it also lets me share along the way. Systems help me keep things going even when my attention is elsewhere. Self-acceptance makes a big difference – when you’re not fighting yourself, you have more energy for going forward. 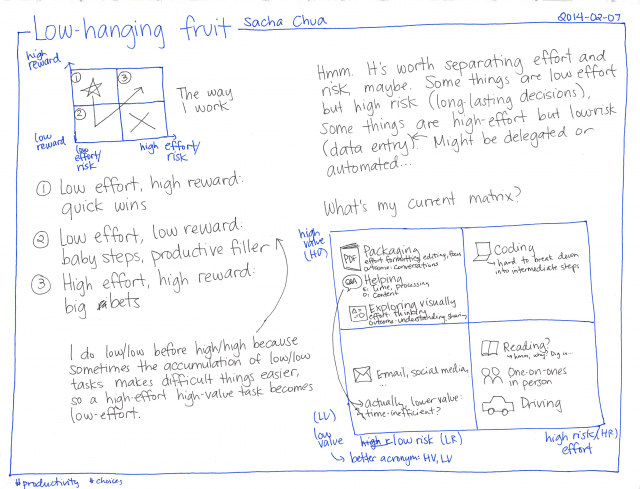 My learning tends to be shaped by a strategy of picking low-hanging fruit. Things that require low effort/risk and give high rewards are easy choices. Do them first. 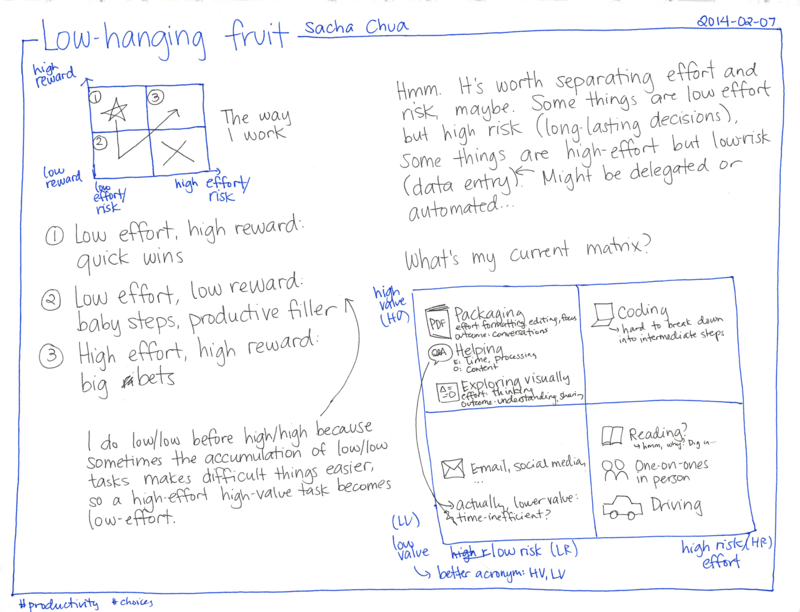 For the next step, I like focusing on things that require low effort/risk (even if they give low rewards) over things that require more effort/risk with the promise of more rewards. I think it’s because the accumulation of these baby steps often brings you surprisingly close to where you want to go, making things that were previously difficult much more doable. Knowing this inclination, I break high effort, high reward tasks down into things that take less effort. One of the interesting and challenging things about learning like a fox is that you’re a beginner over and over again. It can feel a little discouraging to struggle with learning something new while hedgehogs around you are comfortably settled in their expertise. It’s worth it, though. I love that moment when things start to snap together, when your knowledge starts to mesh, and then you can take advantage of more and more connections and then what you’re learning becomes part of the way you think. 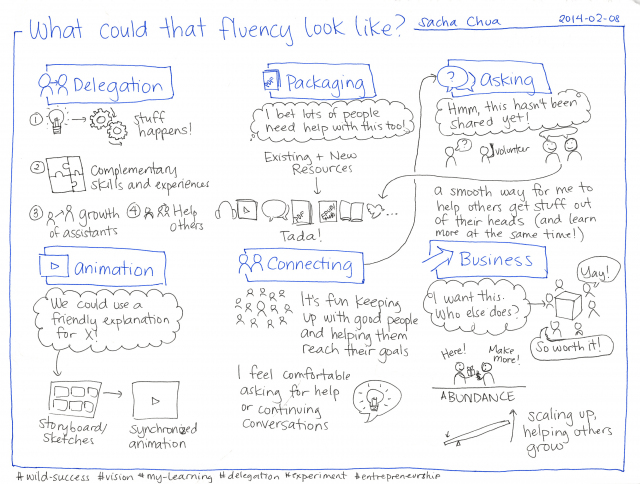 You become fluent. Maybe not Pulitzer-prize-winning fluent, but “I can say what I mean” fluent, which feels awesome. This journey never ends, actually, since there’s always more to learn, always another plateau of mediocrity to get through. But it’s still so much fun. 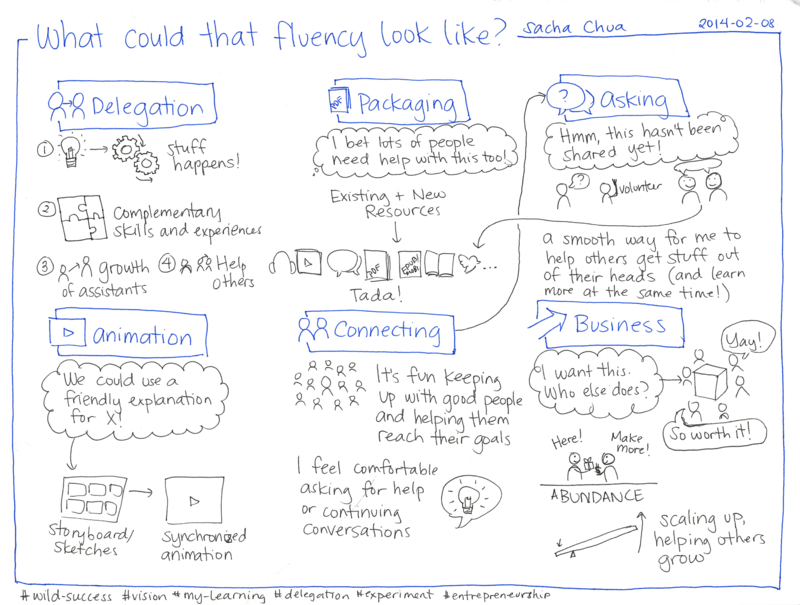 I’m working on getting even better at being a beginner so that I can get to that fluency faster. So that’s part of the reason I learn like a fox: I like the challenge of a new topic, and I love the ways ideas connect with previous knowledge. 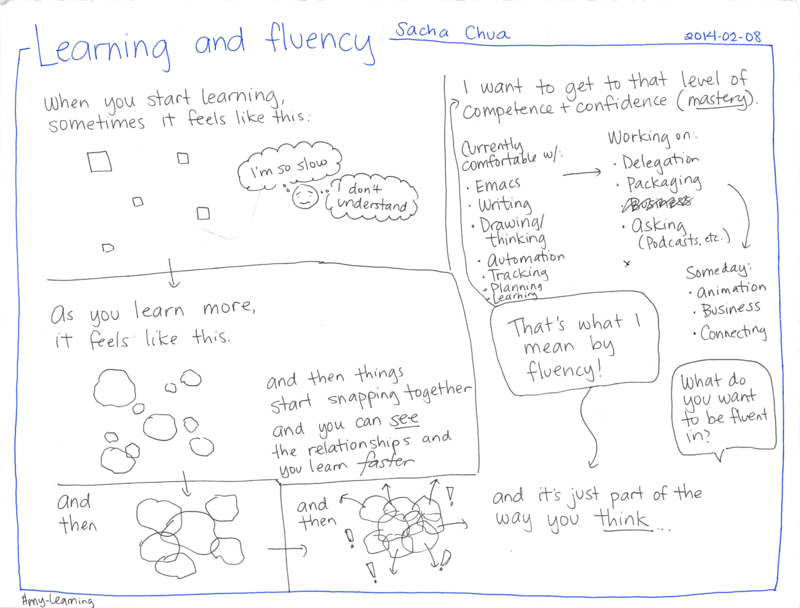 What are the things I’m relatively fluent in, and what am I working on building fluency in these days? It’s good to celebrate how how far you’ve come, and it helps to be aware of what you want to learn so that you can deliberately learn. Hedgehog-me would probably have focused on programming, but fox-me has picked up lots of other interesting things, and I don’t mind the trade-offs. In my teens, I used to feel insecure about not being a Super Awesome Geek (e.g. Linux kernel hacker or Emacs core contributor), but actually, adding writing and drawing and tracking worked out really well, and the things I’m learning now will add even more to this life. 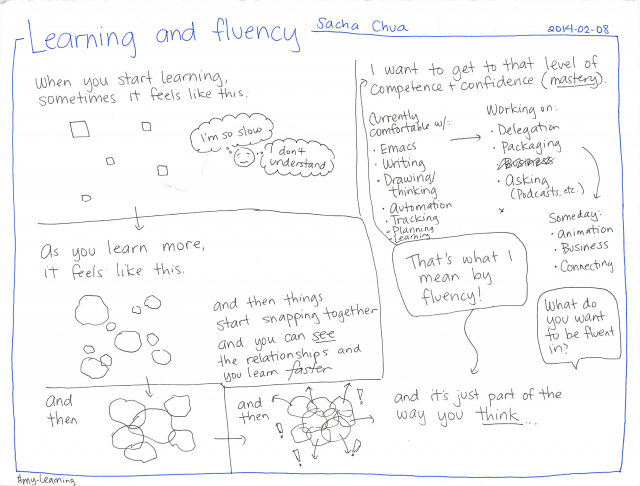 What are you building fluency in? 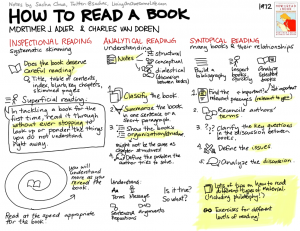 Books tend to be better-organized and more in-depth, but these days, I get more current information and insights from blogs. Reading lots of blogs can take time, though. Worse, it’s easy to get distracted by the interesting links and ideas you’ll come across. Next thing you know, it’s two hours later and you haven’t even started working on your project. 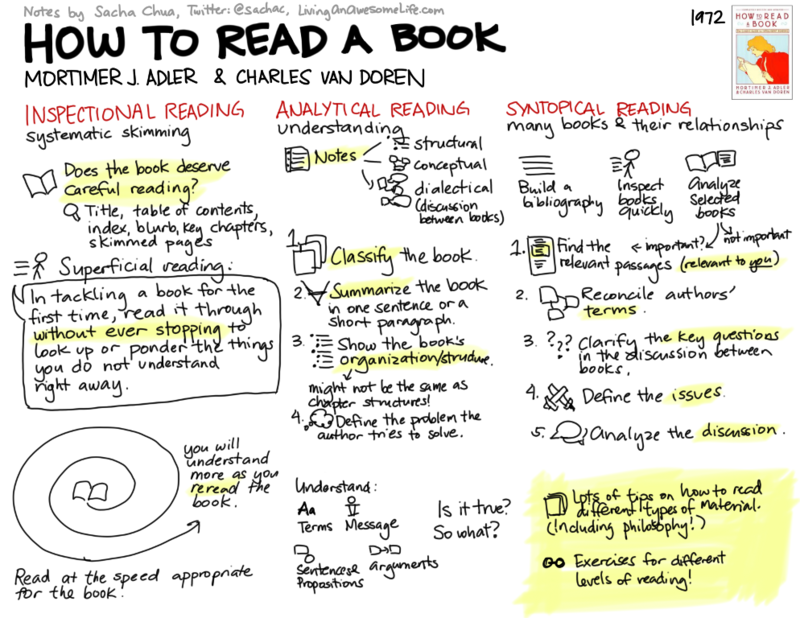 Here are the tools and strategies I use to read blogs. I hope they help! I subscribe to blogs I regularly read, and I read them using a feed reader. Some blogs are great for inspiration and serendipity. Other blogs are written by people I’d like to learn more about, and I don’t want them to disappear in my forgetfulness. Instead of subscribing by e-mail, I use a feed reader to organize the blogs I want to read in different folders, so I can prioritize which folder I want to read first. You might not have come across feed readers yet, or you may already be using one without knowing what it’s called. Feed readers (also known as aggregators) are tools that go to all the blogs you’ve subscribed to and get a special version of the blog updates formatted so that computers can easily understand it. The tool then displays the information in a form you can easily read. Many feed readers allow you to organize your subscriptions into folders. For example, I have an “AA Skill Development” folder for professional development blogs that I skim when I find myself with a moment of time. I add “AA” to the beginning of folders that I’d like to see first in the list, since the folders are alphabetically sorted. Organizing your subscriptions into folders is great because that allows you to quickly read through lots of similar topics together. I read most blog posts on my phone, quickly paging through headlines and excerpts. I rarely read blogs when I’m at my computer. After all, I could be doing something more productive instead, and I don’t want to get distracted by the links. The Feedly app isgreat for this because it can synchronize across devices. Many feed readers even let you read while you’re offline, which is great for learning things when I’m on the subway. Lately I’ve been skimming through everything, newest posts first. It doesn’t take me a lot of time to do so, and it means that I don’t forget to read the folders down the list. You don’t have to read everything. You don’t even have to skim through everything. Feel free to use the Mark all as read feature, or to ignore the unread count. Most feed readers can autodetect the feed for the site you want to subscribe to. For example, if you want to add this site to your Feedly, you can try putting in http://sachachua.com/blog and it should show you the recent posts. I write about a lot of different topics, so if you want, you can subscribe to just one category. 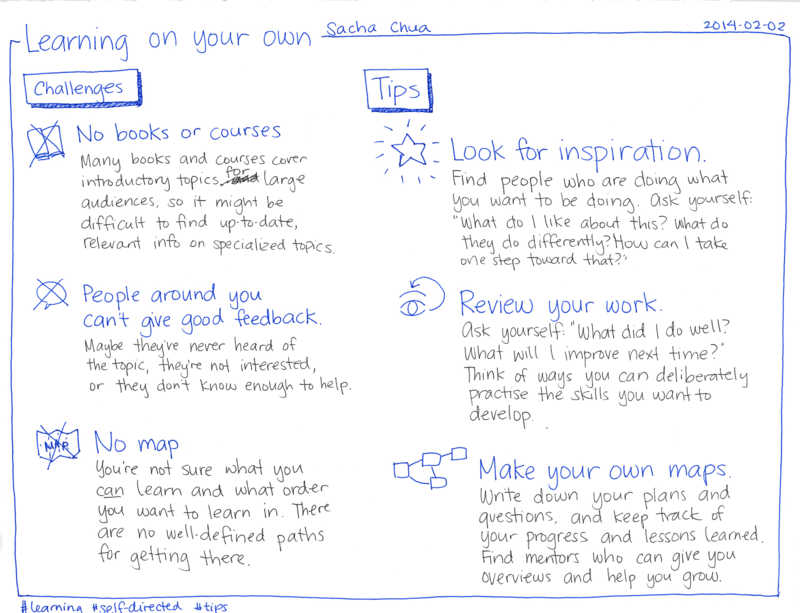 For example, if you only want my learning-related posts, you can subscribe to http://sachachua.com/blog/category/learning/feed . I like using the free Feedly reader, and there are many other options out there. I hope you find something that works for you!